On 9th October 2017, the world observes the 50th year of the martyrdom of Che Guevera, the eternal revolutionary and the inspiration of generations of youth and revolutionaries. Ernesto Guevara was a true revolutionary who lived and fought for the freedom of the Latin American countries. He was part of the guerrilla team of Fidel Castro which defeated Dictator Batista, made Cuba free and founded the Socialist state. He left the post of Minister and leadership of the party and went to Bolivia to liberate it. During the guerrilla warfare in the mountains, he was caught and executed at La Higuera, Bolivia on 9th October 1967. The entire world remembers this great revolutionary on his 50th year of martyrdom. 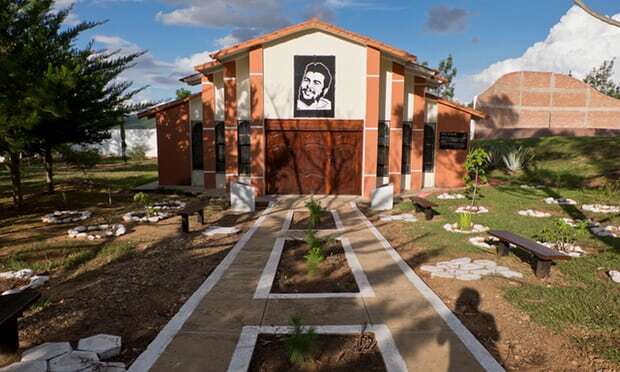 Tens of thousands from all over the world are expected to reach Bolivia to visit his grave and memorial. Red Salute to the memory of Che Guevara on this death anniversary!